A special thank you to The Pencil Group for partnering with me for this Holiday Gift Guide post! Do you have a creative child on your holiday shopping list? Are you a parent that dreads letting your child paint because of the hassle and mess? Kwik Stix and Thin Stix are tempera paint sticks that allow children of all ages to paint without making a mess. Plus they can be used on multiple products. Simply uncap, twist, and paint! The only difference between the two is that the Thin Stix are longer and thinner, which are better for older children. The Magic Stix markers are a new product. would you believe me if I told you that these markers won’t dry out for 7 days with the cap off? It's true, and it is guaranteed! Are you looking for the perfect gift for that special man on your holiday shopping list? The Sminiker Professional 5 in 1 Waterproof Man's Grooming Kit is sure to please. This 5 in 1 trimmer has everything a man needs to stay groomed and trimmed... it includes a full trimmer, detail trimmer, nose trimmer, beard and mustache trimmer, making it the perfect accessory for all the men in your life. 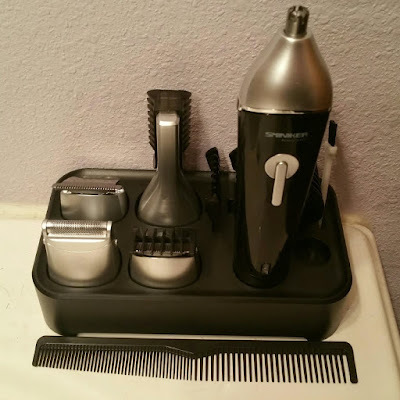 This trimmer is perfect for men of all ages; including teens. This trimmer allows them to easily remove unwanted hair and create fine lines for the perfect groomed look. If your pets are anything like ours... they are spoiled! I feel as though I have a husband and 4 kids, instead of a husband, 2 kids and 2 dogs. I am fortunate enough to be a Chewy Influencer and in exchange for my honest reviews, my two spoiled pups get special food and treats every month! Zena (English Mastiff) and Thor (Great Dane/Mastiff) are lucky dogs! When they see the blue Chewy box being delivered, it's almost like they know it's for them! 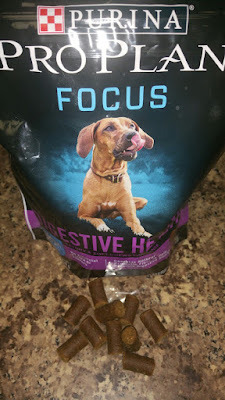 Thor and Zena recently had the privilege to sample a bag of Purina Pro Plan Focus Digestive Health dog treats. When I opened the bag, they smelled good enough for me to eat; they smell like jerky. They are soft and moist, are the perfectly bite-sized. 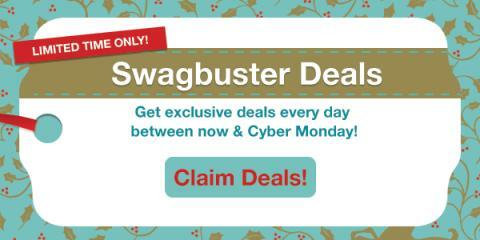 Get Big Cash Back during the Swagbucks Black Friday Sale! 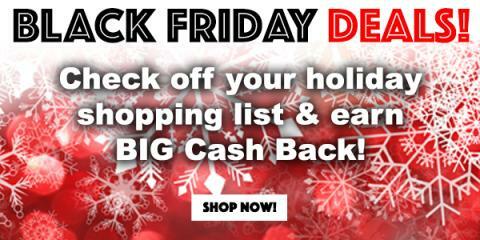 The Cashback Shopping site Swagbucks is offering big cash back at over 120 different stores all throughout Black Friday weekend. They're also offering big payouts on a varieties of different deals and offers from companies that would make great gift ideas. Get great deals without waiting in lines or even leaving your home! 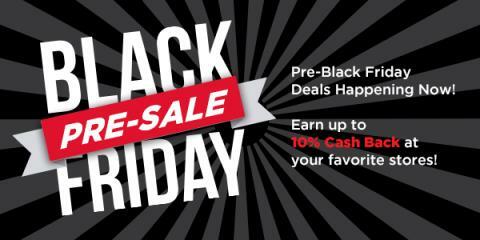 As a pre-Black Friday warm up, Swagbucks is offering big cash back for shopping online at several of your favorite retailers right now! Be sure to check it out to see all of the deals available and get a jump on your holiday shopping. 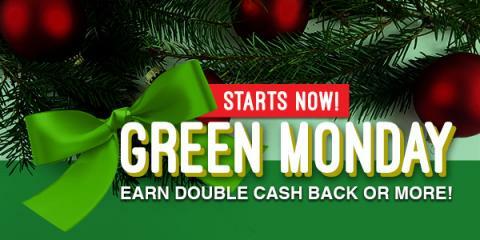 In order to take advantage of the cash back, just create your Swagbucks account when prompted (it takes less than 30 seconds) and then you're all set! Your cash back comes in the form of SB points, which you can redeem for free gift cards to places like Amazon, Target, Walmart, Starbucks, or get PayPal cash! GrandBox is the original subscription gift box for Grandma and Grandpa. 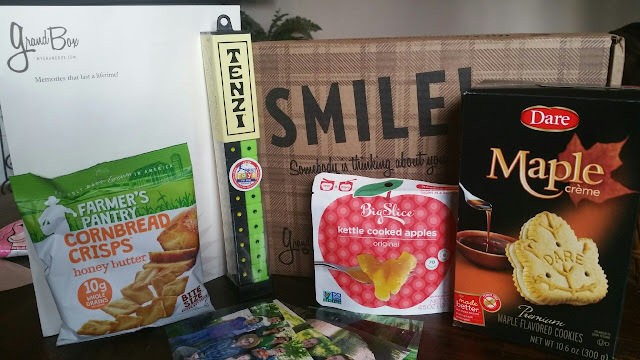 Every box is filled with unique gifts and personal touches to show them how much they are loved! December's box will be themed for the holidays and will ship on December 18th. With the holidays quickly approaching we are starting to put together our 2017 Holiday Gift Guide. 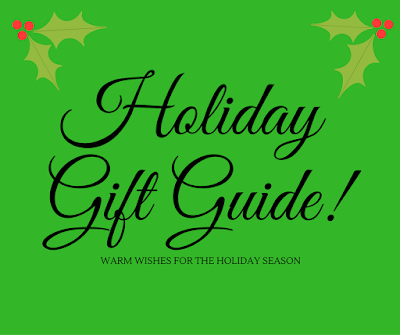 Beginning November 15th, Being Frugal and Making it Work will launch its 6th annual Holiday Gift Guide! The holiday gift guide is going to feature gift ideas for everyone on your holiday shopping list... from toys and clothing to food and electronics, and much more! 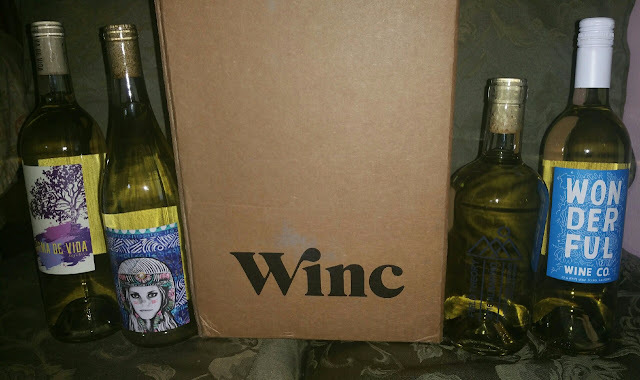 Canvas On Demand has awesome gifts for everyone on your list! Based in Raleigh, NC, @canvasondemand has everything you need to get your shopping done early. They offer more than just canvas prints. From incredible photo-to-canvas art for parents, Coloring Canvas for kids, and customizable photo gifts, including ornaments & more, Canvas On Demand can help with your holiday haul. For a limited time, they're offering my readers a whopping 60% off your entire order at Canvas On Demand with code USFAM. Select from canvas prints and more! 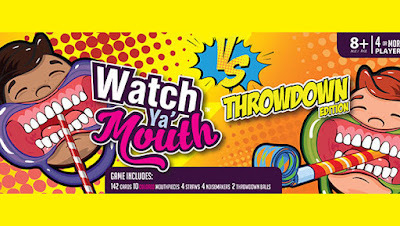 Watch Ya' Mouth Throwdown Edition is the evolution of the original, wildly popular, hilarious Watch Ya' Mouth game. Rather than just speak phrases, players now go head-to-head with hilarious and challenging tasks - while wearing mouthpieces. Throwdown Edition takes competition - and laughter - to the next level and builds on the multi-generational gaming phenomena. Get more FREE gift cards during November Swago with Spin & Win! 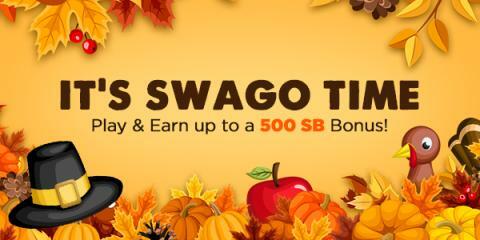 The digital rewards site Swagbucks is celebrating Thanksgiving early with another big "Swago" promotion starting Monday, November 6th at 9am PT and running until Monday, November 13th! Swago is just like bingo, but in this case you're filling out squares as you earn points on their site for doing things you already do online. If you're thinking of trying Swagbucks, this is a great chance to learn all about how the site works and earn bonus points while doing it, meaning you can get more free gift cards faster. 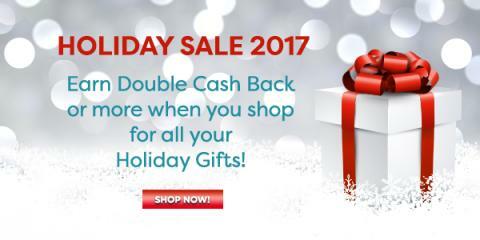 Swagbucks is offering double cash back at dozens of different stores (like Macy's and Target) during their 2017 Holiday Sale. Just go to this page to see all of the deals available and get the jump on your holiday shopping. Make Your Daughter's Dream of Being a Mermaid Come True! Save 10% Just in Time for the Holidays! Make your little girls dream come true! Sun Tail Mermaid has created the world's best swimmable mermaid tails and mermaid flippers. 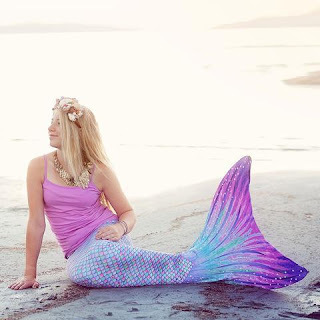 Their mermaid tails are soft, comfortable, and come in a wide variety of designs and colors. They are made of high quality swimsuit fabric with 4-way stretch. 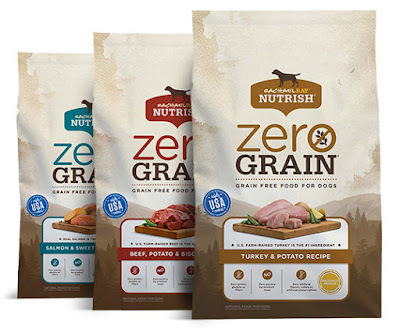 Our pups recently got the pleasure of trying Rachael Ray Nutrish Zero Grain Natural Turkey & Potato Recipe Grain-Free Dry Dog Food. I love that this dog foods has meat as the first ingredient, and each recipe is gluten-free and grain-free for a protein-rich meal. It's great for every dog, and perfect for pups with food allergies or sensitive stomachs. Get $3 when you sign up for Swagbucks during November's "Three for Fall"
If you haven't tried Swagbucks before, you can get a bonus $3 for signing up during November as part of their Three for Fall promotion. Swagbucks is a rewards site where you earn points (called SB) for things you're probably doing online already, like searching, watching videos, discovering deals, and taking surveys. Then you take those points and exchange them for gift cards to places like Amazon, Starbucks, Walmart, Target, or PayPal cash. 1. Sign up - it's FREE!